In an always-on world where business is conducted 24/7/365 and technology is a disrupter, driver, and enabler, there’s no time for downtime. It’s up to IT to keep crucial systems running around-the-clock to ensure IT resilience and that your organization can maintain acceptable service levels no matter what natural or man-made challenges arise. It’s a daunting task given all the things that can disrupt operations, from hardware failures and weather-related disasters to human error and cyber-attacks. The inability to ensure IT resiliency comes with an enormous price tag and can take down even the biggest name companies. Data protection suite featuring customizable disaster recovery, replication, and back-up services. Bi-annual testing to ensure that your DR plan is current and documented. Multiple DR options, including disaster recovery-as-a-service (DRaaS) and colocation facilities to create a highly available solution. 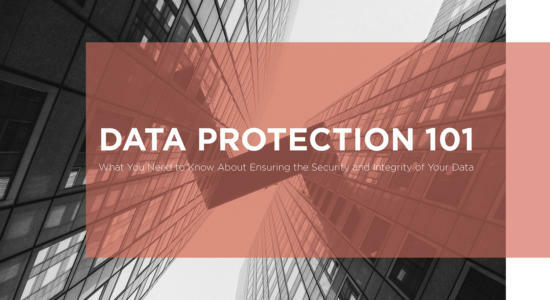 Data protection services with Service Level Agreements (SLAs) for infrastructure availability and RTO guarantees. The ability to integrate secure, dedicated network services with cloud, colocation, and data protection offerings, all backed by 24/7/365 technical support. Operations monitored every day, all day long, to proactively identify and mitigate issues. Technical Operations Center staffed 24/7/365 by technical experts who typically answer calls within 30 seconds. Professional services team to help develop and implement all aspects of IT resilience plan, including BC/DR and risk management and compliance. Services powered by compliant cloud infrastructure and geographically diverse data centers. Safeguard your business assets from cyber-attacks. Pre-emptively detect security gaps. Mitigate data loss if a disaster occurs. Keep mission-critical applications operational. It's all possible when you let US Signal help your company develop and ensure its IT resiliency. US Signal offers a comprehensive service portfolio of disaster recovery and business continuity options to ensure data availability while mitigating IT-related business disruptions. All services are powered by the company’s own resilient private fiber network and PCI- and HIPAA-compliant infrastructure. 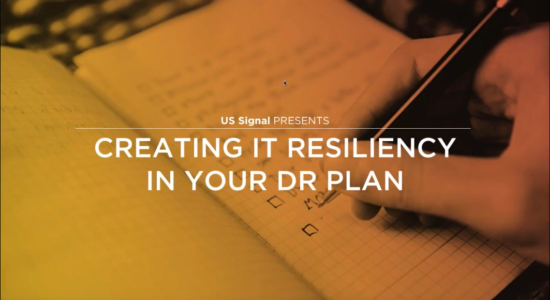 US Signal's professional services team can also evaluate your current IT resilience and help you implement measures to strengthen your disaster readiness and security profile. 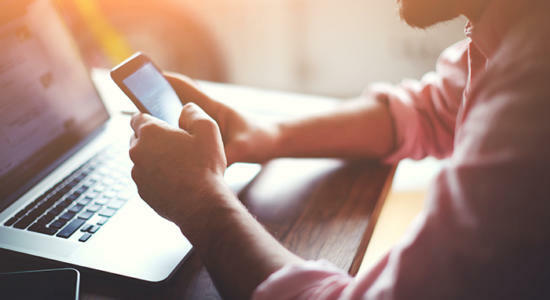 When you count on your IT assets to keep your business up and running, count on US Signal to supply the expertise and solutions to ensure that they do. A smart disaster recovery plan is more than data security, It requires an organization-wide plan. DR planning isn’t just about “recovery.” Resilience is also a key component. If a disaster struck, would your data be safe? How quickly could you recover it? What's your strategy?